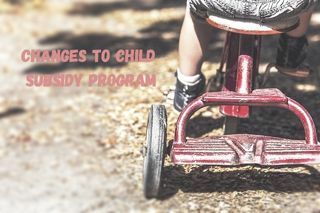 The Coast Guard Child Care Subsidy Program (CCSP) has been administered by the U.S. Department of Agriculture (USDA) since 2016. The USDA is now closing its subsidy administration business line and will no longer service the Coast Guard after 31 March 2019. The USCG has established a partnership with the Navy’s office of Child & Youth Programs (CYP), and effective 01 April 2019 the Navy’s CYP will serve as the new subsidy administrator.